The medium barrel of the ghd Ceramic Vented Radial Brush (Size 2) makes it incredibly versatile. Achieve a body-full or smooth blow-dry on short to mid-length hair. 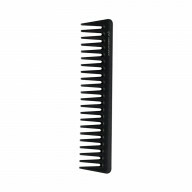 Blast hair until it’s 80% dry, then separate into small/medium sections. 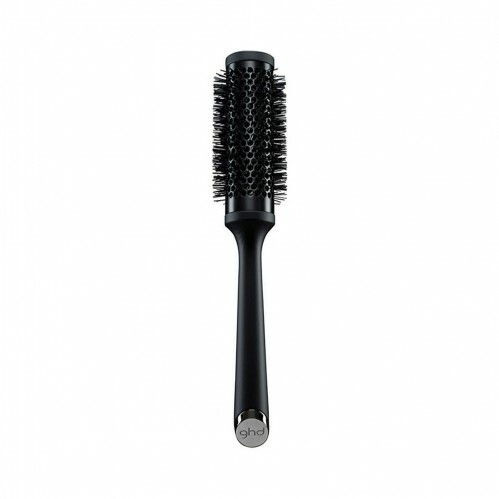 Place the brush into the root area and direct the heat from your dryer at the barrel before moving through the hair. 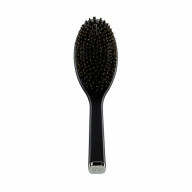 Extra style tip from our stylists: place the brush under hair at the crown and blast with heat to create beautiful body. 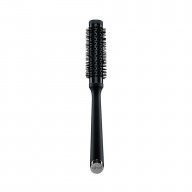 The hollow, vented ceramic 35mm barrel forms the Size 2 brush. The soft touch, nonslip handle and professional design allow ease of use for effective styling. To create body to at your roots, use the brush like a roller! Dry your cown section as normal, then wrap the whole section around your brush. Blast with hot air then a quick cool shot. Leave the brush in, let it cool and then remove!